Note: The files of the music and the film are large and slow loading. This book tells the gripping story of the former Russian dissident Alexander Ogorodnikov (1950). He grew up with communism, converted to the Orthodox church and founded an underground Christian Seminar in the Soviet Union. Because of his religious convictions Ogorodnikov was imprisoned in the Gulag concentration camps in 1978 and held for almost a decade. Five of those years were spent in Perm-36, the notorious “camp of death.” On February 14, 1987 he was released, thanks to the intervention of US President Ronald Reagan and British Prime Minister Margaret Thatcher. After his release Ogorodnikov continued to fight for the freedom of religion − which became a fact in 1990 − and for a more humane society in the Soviet Union. He founded the first Christian Democratic party, the first non-government school, the first free soup kitchen for the homeless and the first private shelter for orphans, homeless girls and teenage mothers. Every day he still cares for hundreds of people living along the margins of Russian society. But the toll he has had to pay over the years for his empathy and compassion has been high: many of his supporters, among them his brother and his secretary, have been murdered. He himself narrowly escaped an attempt on his life, and the Russian authorities are still trying to silence him. Based on a large number of interviews with Ogorodnikov and on original archival material (including the KGB archives in Moscow), Koenraad De Wolf tells a stirring and authentic story that bears witness to unprecedented cruelty − cruelty that runs like a thread through Ogorodnikov’s life and through the history of the Soviet Union and Russia. So this book also pays tribute to all the Russian freedom fighters, from Alexander Solzhenitsyn to Anna Politkovskaya. Koenraad De Wolf (1956) studied history and art history at the Katholieke Universiteit Leuven and has published several books and dozens of articles. Since 2000 he has also been working as a journalist with the Belgian weekly Tertio. The capstone of the control network was the Extraordinary Commission for Combating Counter-Revolution, Speculation and Sabotage, or Cheka, the first intelligence service of the Soviet Union. The Cheka was chiefly manned by Latvians, and the founder and first director of the service, Felix Dzerzhinsky, was of Polish nobility. Hundreds of thousands of authentic, suspected or potential opponents of the regime were arrested and killed without trial by Chinese assassins or hired killers. This fate befell mainly followers of the tsar and the landed nobility, who were first robbed of their power, prestige, titles, possessions and money. They were mercilessly eliminated, not because they had done anything wrong but exclusively because of their social origins and the deeds of which they were thought to be capable. Others were labeled “enemies of the people” and were “re-educated” in the notorious concentration camps that formed an essential part of the Soviet system. The return to the ideological hard line after the war not only affected academics, writers and artists, but it also went hand-in-hand with the destruction of churches, the persecution of believers and the imprisonment of priests, rabbis and muftis. Never before had the Gulag camps held so prisoners: 2.5 million. 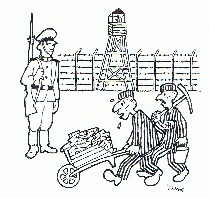 The number of prisoners in the concentration camps rose from 180,000 in 1930 to half a million in 1934. And starting in 1928 the camps also served an economic function. The prisoners were put to work mining the natural riches of Siberia according to the ancient principle of “He who does not work, neither shall he eat.” Kolyma, rich in minerals and gold but the coldest and most desolate region of the Soviet Union, symbolized the greatest hardships of the Gulag. As a state within a state, each camp had its own hierarchy, rules and customs. But in all the camps the prisoners were given insufficient food and shoddy clothing, ill treatment was common and many were literally worked to death. The murder of Sergei Kirov, Leningrad’s popular Party secretary, on December 1, 1934, triggered the “Great Purge,” a merciless witch-hunt on suspected opponents and rivals conducted by Stalin, who was sinking into paranoia. Show trials were conducted for tried and true Bolsheviks, who confessed to being spies, saboteurs and agents of capitalistic and imperialistic powers. Of the 139 members of the Central Committee of the Communist Party of the Soviet Union, 110 were arrested and 98 were executed. Only 59 of the 1,196 delegates at the Party Congress in 1934, held every five years, were still there five years later. In the army, 78 of the 88 top military men and half of the 35,000 officers were executed. An estimated four million of the ten million who were arrested did not survive the Great Purge. Among these were 45,000 priests and religious. The population of the Gulag camps rose to 1.9 million. The return to the ideological hard line after the war not only affected academics, writers and artists, but it also went hand-in-hand with the destruction of churches, the persecution of believers and the imprisonment of priests, rabbis and muftis. Never before had the Gulag camps held so prisoners: 2.5 million. After the death of Stalin on March 5, 1953, KGB boss Lavrenti Beria immediately released a million prisoners from the Gulag and put an end to compulsory forced labor. This decision was mainly made for financial reasons, since the camps were soaking up 16 percent of the national budget each year. Under Stalin’s regime at least 28.7 million forced laborers had been sent to 476 concentration camps. Ten percent died there. This minimal estimate reduces to an abstraction all the arbitrary executions and all those who died on the way to the camps, during their interrogation in prison or a few days after being released. Writer Alexander Solzhenitsyn reported the figure of 50 million forced laborers, while some historians speak of from 60 to 70 million persons. The exact number of victims of this inconceivable human tragedy, unparalleled in human history up to the present day, can no longer be determined. After Khrushchev disappeared in October 1964 the new General Secretary Leonid Brezhnev returned to te hard line. In September 1965, the writers Andrei Sinyavsky and Yuli Daniel were sent to the Gulag for clandestinely publishing their books abroad for the sake of security (books that may have been too progressive), using the pseudonyms Abram Terts and Nikolai Arzhak, respectively. Although this was not actually forbidden, the government wanted to make an example of the case in the hope of staunching the flow of publications to the West. During their trial, which was not open to foreign journalists or friends of the accused, both were convicted of “vagrancy” and sentenced to a prison camp: Sinjavsky for seven years and Daniel for five. In the storm of protest that followed, 62 members of the Writers’ Union demanded their release. But the trend was irreversible. One month later in Kiev, 24 Ukrainian intellectuals were convicted. Article 190 of the Penal Code was amended to criminalize public protest, but because of growing polarization the dissident movement became more and more political and ideological. The new generation of detainees, who called themselves “prisoners of conscience,” were separated from the ordinary Gulag prisoners. Many were sent to the work camps of Mordovia or Perm. But starting in 1971, some of them ended up in psikhushkas: psychiatric hospitals. How many prisoners of conscience were in the Gulag at the end of the seventies? No exact numbers have ever been released. Amnesty International, Andrei Sakharov and Andrei Sinyavsky believed there were about ten thousand in a prison population of one million. Andrei Almarik estimated the number at 25,000 to 30,000, however. Just who is this “eternal” Russian dissident, Alexander Ogorodnikov? Search his name on Google, the well-known internet search engine, and you come up with about 7,800 hits, the first few hundred of which are particularly informative. Ogorodnikov, born in 1950, grew up in the Russian city of Chistopol, and as a boy he was active for some time in Komsomol, the Communist youth movement. He broke with Communism, however, and after a long search he finally converted to the Russian Orthodox faith. In 1974 Ogorodnikov secretly founded a Christian Seminar, which soon branched out into ten cities of the Soviet Union. He was also active in samizdat, the underground press. After much provocation by the KGB, the Soviet secret service, he spent a year in hiding, and when he refused to leave the country he was imprisoned on November 20, 1978 in a concentration camp of the Gulag, the government agency that administered the Soviet Union’s penal colonies and labor camps. Ogorodnikov the religious dissident was convicted three times and spent five years in “Perm-36,” the notorious “camp of death.” On February 14, 1987 he was freed, thanks to the intervention of US President Ronald Reagan and British Prime Minister Margaret Thatcher. Ogorodnikov immediately resumed his religious activities and continued to fight for freedom of religion, which in 1990 became a fact. He also became active again as a journalist and founded the Christian Democratic Union of Russia (CDUR): the Soviet Union’s first Christian Democratic party. But his attempt to change society by political means did not result in the success for which he had hoped. Ogorodnikov set up the first non-government school in the Soviet Union, but because of the great social need his activities gravitated to the social sphere. In Moscow he opened the first soup kitchen for the homeless, which served about 1.8 million free meals between 1991 and 1997. But after a violent attack by the police that was condemned by the European Parliament, the soup kitchen was forced to make way for a restaurant and nightclub intended for the regime’s elite. In April 1995 Ogorodnikov set up the “Island of Hope” in Buzyurova, a village just outside Moscow. This was the first private shelter for street children, orphans and teenage mothers. Ogorodnikov also runs a number of shelters in Saint Petersburg, Moscow and Chechnya, and he distributes food to the homeless in the railway stations of Moscow three times a week, thereby caring for 200 to 300 people a day. His brother Boris entered the Pskov-Pechory monastery under the name Raphael in 1975. He and CDUR secretary Sergei Savchenko were both murdered in 1988 and 1989 respectively, and Ogorodnikov narrowly escaped an attempted murder in 1996. But after 35 years, Ogorodnikov is still on the firing line. He is still a dissident, although today it’s mainly in the figurative sense of the word. Grounded in the power of his faith, he takes up the daily fight against the indifference and cynicism that characterize the bureaucracy and the mafia in order to fulfill his ultimate dream of a more humane Russian society. He remains a potential danger to the Russian secret service because of his journalistic activities. 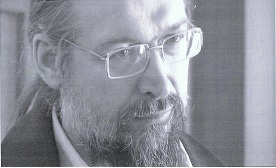 Until 2008 Ogorodnikov was still the editor-in-chief of a religious publication. What struck me as I researched this subject was the unprecedented cruelty of the Russians, which I as a Westerner could barely get my mind around. It’s a thread that runs not only through Ogorodnikov’s life story but also through the entire history of the Soviet Union (1922-1991) and present-day Russia (1991-present). So to gain a proper understanding of his eventful life, it is essential that we keep referring back to the broader historical and social context, which also explains why both elements in this book are so closely interwoven. This book then begins with a brief historical review of the Tsarist regime, the Bolshevik Revolution of 1917 and the rule of Communist leaders Lenin, Stalin and Khrushchev − weaving in the life stories of Maxim Ogorodnikov and Yemelian Firsov, the grandparents of Alexander Ogorodnikov, and his parents Iol Ogorodnikov and Margarita Firsova. From the late sixties on, the biography of Alexander Ogorodnikov keeps pace with the evolution of Russian society. The book is divided into three parts. The first part is a reconstruction of how Ogorodnikov evolved from a Communist youth to a religious dissident; the second part deals with his imprisonment in the Gulag (1978-87); and the third part describes his life up until today. The organization of the text is strictly chronological, with subheadings that mark the transition from the social context to Ogorodnikov’s own personal fortunes. One final note: for the sake of readability I have opted for a running narrative without source notes. A list of the printed and digital sources I consulted can be found in the back of the book. March 2008: Alexander Ogorodnikov during his second visit to the former concentration camp Perm-36. In the early 1980s, just after I had been elected to Parliament, the NGO, Jubilee Campaign, asked my support for the young Soviet dissident Alexander Ogorodnikov, who had just been sent to the Gulag. His case immediately captured my interest. Ogorodnikov was not one of those protesters who carried out noisy human rights campaigns. He worked in silence, building up an underground Christian Seminar. Three things about him fascinated me. First, in a society that was controlled by the KGB from beginning to end, he had succeeded in creating a network with branches in more than ten cities of the former Soviet Union, thereby reaching a few thousand believers − surely a feat without precedent in the history of the Soviet Union. In addition, Ogorodnikov − a young man in his twenties − called his group the “Christian” Seminar. He himself was an Orthodox convert, as were all his friends who lent their support to this initiative. But they welcomed Protestants and Catholics to their meetings as well. That ecumenical approach was also a first. Finally, his unimaginable idealism, his courage and his spirit of self-sacrifice also touched me. When given the option to leave the country, he firmly declined because he wanted to change “his” Russia from the inside out. His willingness to sacrifice himself also meant that when he was imprisoned he was parted from his wife and newborn child. This book describes in great detail the turbulent history of the Christian Seminar and of Ogorodnikov in the period 1974-1978. Slowly the net closed in around the group. All those responsible for keeping the Seminar alive were arrested, put through show trials and deported to Soviet camps. Inevitably, as the leader of that group Ogorodnikov was the first in a long line of detainees. At the beginning of the eighties, news of Ogorodnikov was replaced by a disquieting silence. We could only imagine what atrocities were taking place in the Gulag. We carefully followed the publications issued by the Keston Institute in Oxford, which systematically gathered information on the dissidents via the underground press or samizdat that often traveled to the West at a snail’s pace. And as long as no death announcement was published, there was hope. Several times I myself approached the British Prime Minister and the Minister for Foreign Affairs and they made representations but it was all without results. I vividly remember years later, at the end of 1986, when two farewell letters from Ogorodnikov reached the West − six months after they have been smuggled out of the camp in Khabarovsk. They made a huge impression on me, and they still do today, although twenty-five have elapsed. Jubilee Campaign responded to Alexander’s letters by immediately launching a campaign throughout the United Kingdom. Hundreds of thousands of posters and postcards of Alexander were distributed. I often visited Saint James Church in Westminster in the heart of London, where the Reverend Richard Rodgers and the Orthodox monk Athenasius Hart had gone on a hunger strike to obtain Ogorodnikov’s release. When Alexander was finally set free in February 1987, we threw a huge party. Although Ogorodnikov had spent years in hell and had barely survived the horrors of the Gulag − including a few lasting physical injuries − and the KGB had destroyed his marriage, Alexander continued his struggle. What fascinated me was that he did this without any form of bitterness or hard feelings, and with that perpetual smile on his face − but at the same time with a rarely seen determination. When you’ve survived the Gulag, you’re no longer willing to compromise on anything. Alexander’s priority was to obtain religious freedom. But he also saw this as an opportunity to realize his life’s ambition: to change“his” Russia from the inside out. As a pioneer, his accomplishments were astounding. He founded the first free school in the Soviet Union as well as the first soup kitchen and the first shelter for orphans. He also went into politics, but that step was not a success because of his unwavering scruples. When he visited the West for the first time, in 1989, he was my guest in Liverpool where, among other things, we visited the Beatles Museum. Alexander had told me that it was overhearing the prison guards listening to Beatles music, which had helped him to defeat the isolation in which he was kept. He told me how he had learnt some English through the music and through conversations with a prisoner in the next cell to whom he was able to have secret conversations via a broken pipe. Alexander also visited the city’s Cathedrals, the Catholic church of Our Lady of Good Help, in Wavertree – where the organist played the traditional Russian anthem in his honour – and a Baptist Church in Accrington – where the congregation had kept him faithfully in their prayers throughout his captivity. One member of the congregation in Liverpool told him that she had his photograph in her kitchen and prayed for him daily. I think it was the first time that Alexander realized how much his courageous stand had touched people way beyond his homeland and from every walk of life. After the extraordinary changes which came in 1989 I organized support for Alexander’s social activities, and I also helped with the delivery of the first printing press that had ever been legally imported into the Soviet Union. Our contacts have lessened over the years, but I am full of admiration when I read here that Ogorodnikov is still carrying on his struggle − often all alone. While we tend to use grand and lofty language to talk about solidarity, Ogorodnikov goes to the Moscow train stations and the metro three times a week to beg for food. And right up to the present day, this “eternal dissident” is a thorn in the side of the powers that be in the Kremlin. The fact that in 2011 his shelter in Buzhorova is wired for electricity but still is not connected to the grid, after ten years of operation, beggars the imagination. And only because he refuses to pay bribes to corrupt bureaucrats. A man who has survived the Gulag doesn’t pay bribes. At the moment, Ogorodnikov is risking a new two-year prison sentence because a contractor who guaranteed the rebuilding of the shelter in Buzhorova in 2009 is believed to have hired illegals. Alexander Ogorodnikov’s life story is far from over, but it testifies to a rare courage and sacrifice. It is our duty to tell it to all generations. 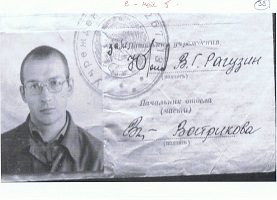 Alexander Ogorodnikov’s camp passport, signed by the head of the institute, Yury V.G. Raguzin, and the head of the section, V. Vostrikovoy. Autumn 1977. After being interrogated by the secret service, Alexander Ogorodnikov was shoved into a car that drove far out of the capital and into a forest, stopping in a clearing a few kilometers farther on. There Ogorodnikov stood eye-to-eye with seven men, their rifles at the ready. Out of a nearby dacha emerged a couple of other men dressed in black. One of them gave a sign and said, “You are free.” But the seven men formed such a tight circle around him that he could barely move. “I can’t get away,” he said. “They won’t let me out.” Suddenly he saw a narrow opening and bolted through it. He expected to be shot in the back at any moment, but it didn’t happen. The men came up behind him and encircled him again. Suddenly Ogorodnikov saw a side path and turned into it. The pulling and pushing of his assailants made it almost impossible for him to stand. The path led to the edge of the forest from which he could make out the silhouette of a town. Managing to free himself of the men, he ran away as fast as he could, afraid once again of being shot. He did not reach the town uninjured, however; apparently his assailants didn’t dare kill him. When he reached the railway station, Ogorodnikov took the first train to Moscow, followed closely by the KGB agents, who jostled one another in order to sit right next to him. He could hardly move, and throughout the journey he could feel their hot breath on his neck − a tested intimidation technique of the KGB. He arrived in Moscow late in the evening, and as he walked he could hear the footsteps of his assailants behind him echo through the silent streets. In his mind he went through the list of friends who could take him in. He decided to go to the apartment of Tatiana Chodorovich. She was a friend of dissident Andrei Sakharov and well-known to the Western journalists who were staying in Moscow. For those reasons the KGB agents would probably hesitate to use violence against her. Tatiana, along with Sergei Kovalyov and Tatiana Velikanova, was the driving force behind Chronika tekuščich sobytiy or the Chronicle of Current Events. She let Ogorodnikov in. The KGB agents following him tried to gain entrance by using violence, but to no avail. By morning, Tatiana’s apartment was surrounded by KGB agents on all sides. Ogorodnikov left the building nevertheless, with a couple of agents close on his tail. In an attempt to shake them off he hurried to the inner courtyard of a block of flats. Panicking, he pushed his shoulder against a door − which luckily opened. He ran up the stairs to the highest floor and expected to be arrested at any moment. Out of breath, he opened the small New Testament he had with him. His eyes fell on verse 14 of the second chapter of John’s first epistle: “I write to you, young men, because you are strong, and the word of God abides in you, and you have overcome the evil one.” A sense of peace suddenly fell over him. Ogorodnikov kissed the New Testament and returned it to his back pocket. The minutes ticked on, but there were no footsteps to be heard. He descended the stairs with caution. There was no one in the courtyard to be seen. The agents had disappeared without a trace. He was free again − at least for now. Ogorodnikov may not be a very gifted speaker, but he radiates inspiration and inner strength all the more. His witness made such a deep impression on me that I decided to publish his life story in book form. A good friend of mine, the Belgian film maker Roland Ottoy, also came up with the idea of making a documentary about Ogorodnikov’s life and work. In connection with this project I have spent the past two years studying the available literature and visiting hundreds of websites. It was no easy matter supplementing these basic facts with original source material. Over the years, scores of documents were seized or destroyed when the KGB carried out searches in Ogorodnikov’s home or the homes of his family members and friends. And when the British Keston Institute in Oxford moved to Baylor University in Waco, Texas, in 2007, their source material was impossible to consult because it was packed up in boxes. After months of contact with the main office of the Memorial historical society in Moscow, which manages the archive of the Gulag, the Russian historian Gennadi selected about six hundred documents on Ogorodnikov and the activities of the Christian Seminar − all of them from the private collections of the KGB archives. He then had the documents scanned and burnt onto CD ROMs. All these materials were not enough, however, to serve as a basis for thorough research, analysis and description. So in 2008 I decided to visit Russia myself in order to make personal contact with Memorial and to look for extra source material, if at all possible − including in Perm-36 concentration camp. Roland Ottoy decided to travel to Russia with me to make “salient” recordings for his documentary. In February-March 2008 we also had the opportunity to become acquainted with the “democratic content” of Russian society during the presidential election campaign − or what was supposed to pass for it. There was absolutely no indication on the streets of Moscow that an election campaign was in progress. Not a single election poster to be seen, except for ... one gigantic billboard put up by Putin’s United Russia party featuring an image of a bear and the Russian flag, running across the entire width of a large building just opposite the Kremlin − the power center of Russia. It couldn’t have been more symbolic: with the Russian flag in the background, the retiring president Vladimir Putin was presenting “his” favorite candidate: Dmitri Medvedev. The campaign was limited to exaggerated media attention for Medvedev’s so-called “administrative qualities,” on television as well as in the newspapers, both of which are under government control. The three opposing candidates − the Communist Gennadi Zhuganov, the ultra-nationalist Vladimir Zhirinovsky and the unknown Andrei Bogdanov − posed no real threat. Mikhail Kashanov of the liberal opposition wasn’t even allowed to run. So it was hardly accidental that no foreign observers were sent by the Organization for Security and Cooperation in Europe (OSCE) to monitor these elections. In Moscow we interviewed archpriest Vsevolod Chaplin, a senior official of the Russian Orthodox Church, and Father Georgy Kochetkov, director of the Saint Filaret Orthodox Christian Institute, a theological training center. During our visit to the Perm-36, the former concentration camp − the journey of about 1,100 kilometers from Moscow by plane and taxi took almost an entire day − we slept on authentic prisoner mattresses. We were also the first foreigners to visit the shelter in Moscow being run by Ogorodnikov, where seventy refugees from the former Soviet republics are staying. And on Sunday, March 2, 2008, we visited the Island of Hope Shelter in Buzhorova. There we had a firsthand experience of the secret service surveillance to which Ogorodnikov is constantly subjected. A half hour after our arrival, much to our bewilderment − and at the special request of “a highly-placed official in Moscow” − the equally perplexed local police showed up to investigate the “irregularities” that were supposedly taking place in the shelter at the moment. Roland Ottoy immortalized this somewhat embarrassing as well as hilarious confrontation with Russian law enforcement. That same evening, our return trip to Moscow ended in complete chaos. The center of the city was hermetically sealed off because of the major open air festivities being held at the foot of the Kremlin. All the popular Russian pop groups were there to enliven the electoral victory of Dmitri Medvedev. We actually were able to get our hands on admission tickets, and after being checked by an impressive police cordon, to witness the boundless spectacle of glamour and glitter. Putin and Medvedev arrived at 11 p.m. to greet their thousands of supporters ... long before the elections results were officially announced. I also had a number of in-depth interviews with Ogorodnikov during his visit to Belgium from November 27 to December 8, 2008. This monograph is almost unavoidably subjective to a certain extent, and some of the sources of the stories could no longer be verified. Yet in my capacity as a historian, who by virtue of his profession is both accustomed and obliged to approach historical facts with a critical eye, I have attempted to be as objective as possible. During these intensive and confidential talks − Ogorodnikov once laughingly called them “KGB cross-examinations” − I never once caught him in a fabrication or found him guilty of exaggeration. But doesn’t history seem to be repeating itself? Under President Dmitri Medvedev a somewhat more liberal wind seems to be blowing through the Kremlin for the first time in a while. On April 19, 2009, in Novaya Gazeta, one of the last independent newspapers, an interview with the president appeared − which would have been unthinkable under Putin. There Medvedev emphatically denies “that Russians, in exchange for a higher standard of living, are expected to be loyal to the Kremlin and to keep their criticism to themselves.” But is that true? Throughout Russian history, the concept of “freedom” has remained an unknown phenomenon: under the authoritarian regime of the tsar, under Communism and equally under the current rulers. May we conclude that Russia today is once again turning into a totalitarian state, but in luxury wrappings? Voices of opposition and dissidence are increasingly being restrained. Since Putin took office in 1999, eighteen journalists have been murdered − five from Novaya Gazeta. Only one case has been solved. On October 14, 2009, during her visit to Moscow, US Secretary of State Hillary Clinton insisted that these murders be cleared up. Will justice ever be served? Getting to know the history of the Soviet Union and Russia at a deeper level, and conducting a thorough analysis of the Soviet system and its gradual implosion, have been extremely enriching experiences. As a historian I was aware of the broad outlines, but the more deeply I delved into the subject the more I came to realize how much Russian society in all its dimensions and facets differs fundamentally from Western European society. The thread running through it is a barbarity that for us Westerners is almost impossible to comprehend. But I only became aware of the most important lesson as I was completing the final editing of this book. In October 2009 I sent the Russian translation of my copy to Alexander, and for a long time I heard nothing from him. Later I learned that at that moment his main priority had been the renovation of the shelter in Buzhorova, which had been partially destroyed by fire in May 2008 and for which he had finally raised enough money. He wanted to finish the work before winter set in so “his” people would have a roof over their heads − literally. Reading through the text would have to wait, unfortunately. These were circumstances beyond his control. He had no other choice. This incident is so typical of Ogorodnikov. The accumulation of prestige, fame and honor − such things are totally wasted on him. They leave him cold. This book was not written at his request, it should be noted, since he is much too modest for that. As a Russian Orthodox, but chiefly as a true Christian, his constant occupation is to spread Jesus’ message, not with words so much as with deeds. It’s easy to say beautiful things about that message when we’re at a safe distance. Ogorodnikov decided not to talk, however, but to act, with his whole life, 35 years long. Besides the physical torture − of which the partial paralysis of his face is a lasting “reminder” − Ogorodnikov also suffered psychological terror during his stay in the Gulag that drove him to the brink of the abyss. But he never broke. The years of incarceration only left him more stubborn and resolute. He made not a single concession and never agreed to compromise with the camp leadership. When Ogorodnikov shut the door of the Gulag behind him after eight and a half years, he was neither embittered nor frustrated. Armed with an almost inexhaustible energy, he continued his struggle − despite the unending intimidation, his two marriages broken by the KGB, the murder of his brother and secretary, and the attempted murder of himself. Always with the same affability, discretion, modesty and inner peace, far from the floodlights and full of confidence and optimism, Ogorodnikov works steadily on building a better society. Why does he do that? Borne by indestructible expectations, a deep faith and inner certitude − the three corners of his belief − Ogorodnikov’s daily experience teaches him that what he is doing is not pointless. He lives in the firm conviction that all shall be well. Against his better judgment? After his release in 1987 it seemed as if Communism was going to hold out for at least another hundred years, but less than five years later it imploded − much earlier than anyone had dared to predict. Even now, despite all the setbacks, he remains a valiant and imperturbable fighter for “his” people who are in danger of falling between the cracks. He does not act out of desperation, but with the firm conviction that all shall be well for them, too. Such inner confidence gives him the strength to carry on with this seemingly one-sided fight. Getting to know Alexander Ogorodnikov − his person as well as his remarkable will power and optimism − has made a deep impression on me, and it is forever engraved in my memory. He has changed my life and the way I think. In the documentary on Alexander Ogorodnikov that Roland Ottoy completed in December 2008, the British parliamentarian David Alton says, “His name ought to be written in capital letters for his courage and bravery. We must tell this story to all generations.” After the fall of Communism remarkably little was published about the Gulag, undoubtedly one of the blackest pages in the history of the 20th century, certainly Russia’s. Now that the economy is faring somewhat better after Boris Yeltsin’s dramatic clearance sale, no one wants to be reminded of the past. The aim of this book, in all modesty, is to raise the lid on this sordid “cesspool”: not only because history has a right to it, but also because we ought to draw lessons from history for the future. On December 2, 2008, Ogorodnikov was made an official honorary citizen of the Flemish town of Herzele. The composer Michel Vangheluwe of the Belgian folk group Ishtar came up with the brilliant idea of writing an oratorio about Ogorodnikov’s life and work for the occasion. On January 31, 2010, the Belgian Catholic television and radio broadcasting company KTRO broadcast a 28-minute TV film by Roland Ottoy on the Belgian TV stations Eén (in the morning) and Canvas (in the evening) on the life and work of Ogorodnikov, based on the penetrating film images of Roland Ottoy and accompanied by the original music from Michel Vangheluwe’s oratorio. This story ought to be told to all generations. Finally, I would like to express my thanks to everyone who contributed to the creation of this book, directly or indirectly. My special appreciation goes to the translators Benjamin Bossaert and Katya Zelinskaja, to the film maker Roland Ottoy, to Gennadi from the Memorial association in Moscow, Bert Claerhout and my colleagues at Tertio, the members of “Vriendenkring Aleksandr Ogorodnikov,” Cera, Lieven Sercu, Maarten Van Steenbergen and Sonja Stock of the Lannoo publishing company, the town council of Herzele, Ludo Van den Eynden, Michel Vangheluwe and Professor Emmanuel Waegemans. Last but not least, I would like to mention those who are most dear to me: my wife and my children, who, each in his or her own way, walked this long road with me. April 2011: the shelter in Buzhorova after the completion of the reconstruction. April 2011: inhabitants of the shelter in Buzhorova. and guilty priests all whisper their regrets. The God of life has nowhere to abide. the ones whom pain has beaten down and broken. “Where is your victory, O Death?” he cries. For suffering men, a refuge in their night. The God of life has come to make his home. he speaks for all the others. The Mayoral College and the Town Council of Herzele have decided to make Alexander an honorary citizen. Besides Rudy Van Snick and Ingrid Betancourt, Alexander is only the third person to be awarded this honour. The honorary citizenship was officially awarded on Tuesday 2 december at 8 p.m. in the Steenoven, Kerkkouter 40 in Herzele. In his welcome speech, the alderman of Social Affairs Noël De Smet praised his exceptional social commitment. The many members of the audience were treated to two fragments of the documentary filmed by cinematographer Roland Ottoy of Denderleeuw on the life an work of Aleksandr: on his visit to the Perm 36 concentration camp, where he was emprisoned for five years and on his shelter which was recently destroyed by fire. Poet Patrick Lateur of Aalst presented his ‘Song for Ogorodnikov’, followed by the world premiere of the film music Michel Vangheluwe composed to Lateur’s poetry, which was brilliantly rendered by the musical ensemble established especially for the occasion, Jovi Stez’ya (Russian for ‘His Way’), with bass Jan Mathé in a starring role. Towards the close of the event, Mayor Johan Van Tittelboom officially awarded Aleksandr honorary citizenship of the town. During his acceptance speech, Aleksandr, whose face is partially paralysed as a result of his incarceration in the Gulag, was overcome by emotion. The evening was rounded off by a reception hosted by the town council. The shelter with the wind-driven generator (left). We have already started in Buzjurova to work as a shelter. From the beginning of February at us there lives homeless mum with baby. And since winter the different periods of time in a shelter were lived by 7 persons. From them two mums with chest children. And now we are going to accept new mum with the baby. One of the homeless to whom we have saved life from freezing in the street in 30 degrees below zero in a frost it has appeared citizen Great Britain, appeared without money and documents in the street. Since December, 2010 the main thing that was possible to us is for the first time for 9 years to receive and use the electric power. A wind-driven generator which we have bought in June 2010 turn out the unusable. And despite expenditure for repair, it has not worked. In February after my returning from a monastery trappists Sent Fons we could find and buy cheap A wind-driven generator. Have established, have bought powerful storage batteries. Have correctly connected. Then in March have bought 6 solar panels. And already 1,5 months we enjoy (electric) power . As always, save money for electricians, has spent conducting on all building and now in each room on four floors light, lighting and two sockets. But to receive the electric power suffices for work pumps, cooking of food and all devices one more is necessary to us, at least, A wind-driven generator and 6 solar panels. On all building on three floors have put warmed hydroisolated a timber floor. Have plastered walls, putty walls of rooms, walls attach (appendix), did toilets and showers. Looked after cattle. Have placed in a cowshed another's cattle and have rescued it from starvation. Rooms are finished, there is light and electrosockets, slopes and many other things are closed up. It is necessary to buy and insert doors only. It is necessary to buy 24 interroom doors in boxes with platbands. We spend water to the house. It is difficult process. But the main thing it is necessary to buy the hydro pump of the big capacity, the hydro accumulator and other equipment. On the second floor ourselves have established the elementary heating. The cellar has appeared badly warmed and in a strong frost a lot of potato of our crop was lost. I contain an another informal shelter in Moscow where there are nearby 70 persons. They are refugees from the former republics of the former USSR, run away in Russia because of national, religious and political persecutions, sometimes, it is literally, saving the life. Mostly run away from Middle Asia. The part is in Russia illegally. But houses, in Uzbekistan, Kirghizia or their Turkmenia is waited by prison, and there can be even a death in the cell. They extremely reluctantly go on contact to the press or foreigners because special services of their states can get them in Moscow. With many refugees of a family remained as hostages. And they ask to keep me this shelter a secret wherefore any publication will draw attention as of their special services, and the Russian FSB. But to know that the information it would be useful as one of examples of Christian ministering. Let God will help to you with thy sincere ministering. I send photos of rooms, appendix, a wind-driven generator and cattle and тд. With love from "Hope Island"